This Carlisle IC225CSB00 5" swivel plate caster is a direct replacement for damaged casters on your portable bar or ice caddy. Featuring a non-marking design, this caster gets your equipment up and moving again in no time with quick and easy installation. 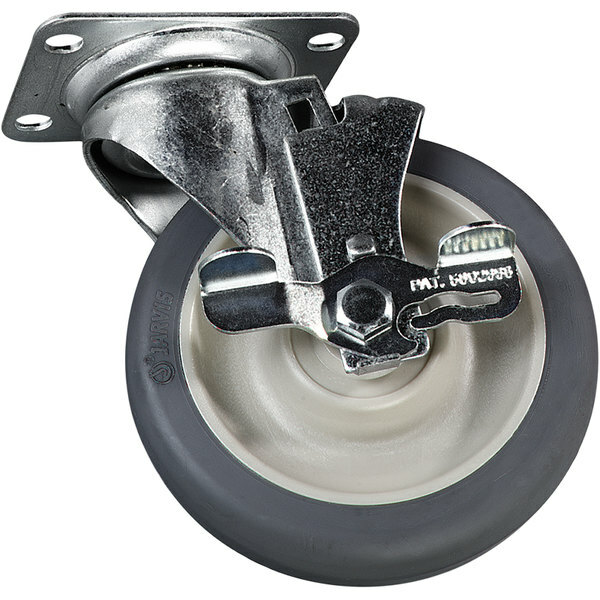 Also, the durable caster features a side brake to provide additional safety and stability.